The Greenhouse Plastic Sheeting With The Bubbles! Not all greenhouse films are the same! SolaWrap greenhouse plastic sheeting stands out from the other polyethylene films because of how it is built! It's the bubbles! Its construction principle consisting of the bubbles, the keder and the connector prevents any leaks or thermal bridges, so that up to 95% of the heat radiation can be retained. This distinctive insulation properties (thermal conductivity value of 3.3 W/sq.m.K) offers a high level if efficiency. This energy savings saves you money! The High Transparency Greenhouse Plastic! SolaWrap provides uniform illumination of the entire horticultural area. At the same time, the air cushion bubbles (100 bubbles per square foot/ 1073.69 per square meter) ensure a diffuse illumination inside along with a blend of direct and refracted light.. This prevents the formation of shade and burning glass effects. The result is uniform illumination of the entire horticultural area. This reduces the formation of shade and burning glass effects. And enhances the natural sunlight effect of the light coming into your greenhouse. 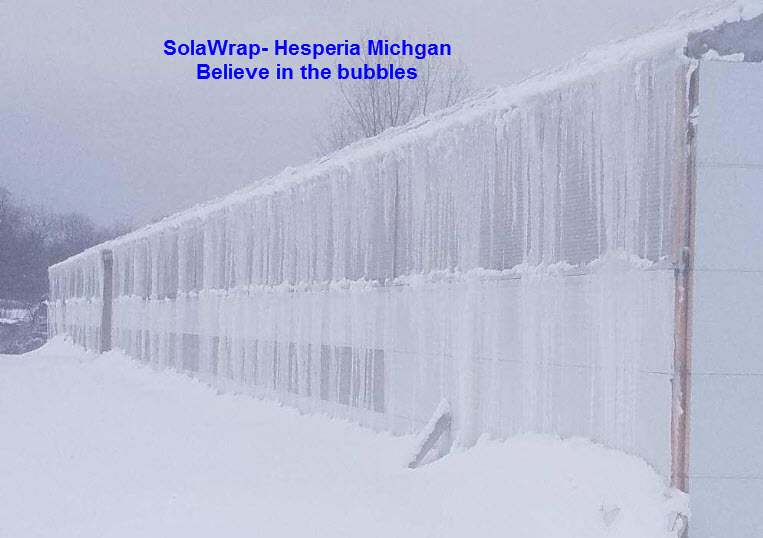 So many products on the greenhouse market have failures when they are hit with a bad snow, wind, or hail storm. SolaWrap can withstand the standardized drop weight test without any consequences. 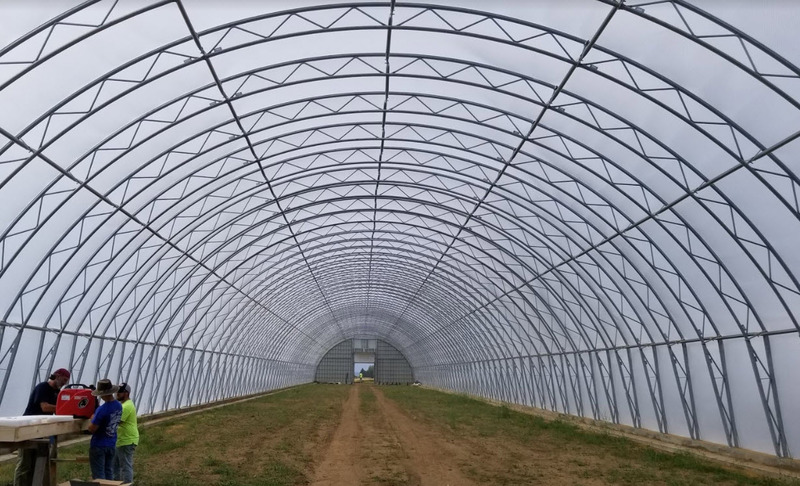 This is achieved by sectioning off the roof with heavy duty connectors that hold SolaWrap greenhouse plastic sheets in place. Even “Lothar”, the storm of the century in 1999, had no adverse effects on the film. Unlike most poly greenhouse plastics on the market, SolaWrap guarantees the ten-year UV stability at 100 Kly/y. Even under the most severe climatic conditions, no changes in color or clouding will occur, and the film will not weaken in any way. Easy Installation- "SolaWrap- the one and done film"! In many cases you will only install SolaWrap one time. Sleep at night if there is a storm knowing your greenhouse film will still be in place and your crop will be safe when you cover with SolaWrap. During installation just slide the 4', 5' or 6' strips of SolaWrap into the connectors and easily cut the film with a knife or scissors The low weight of the strips of keder glide right along the track. Give us a call and get a sample of the film, a connector and a brochure. See for your self why SolaWrap is popping up across the world. Click the red button and be connected to Ken Aguilar- Mr. SolaWrap himself! He is ready to help you out.